Josh Flagg from Million Dollar Listing Los Angeles is a successful real estate agent who hunts down houses for the rich and the famous. He’s doing well for himself with a personal net worth estimated at around $25.0 million, according to sources. Flagg has several high-profile deals to his name and is ambitious and smart. His happiest moment came in September 2017 when he sealed his relationship with his boyfriend Bobby Boyd by marrying him. Josh Flagg is a very happy man right now and why wouldn’t he be? He married the love of his life, his partner Bobby Boyd, in September 2017, and the couple are over the moon with happiness. The real estate agent, author, and television personality is an original cast member of the show, Million Dollar Listing Los Angeles, which airs on Bravo. The show is about a group of young real estate agents in Los Angeles who sell high-end homes. Here we go kids! The new season of Million Dollar Listing Los Angeles premiers Thursday November 2 at 9/8c. How Much Is Josh Flagg Worth? Flagg has been working with Rodeo Realty Beverly Hills since 2012 and has done pretty well in his career so far. No wonder he decided to marry Boyd and settle down! According to sources, Josh Flagg’s net worth in 2018 is estimated at around a healthy $25.0 million and growing. People are curious about Josh Flagg’s real estate dealings. So we’ve gathered some details about his earnings and wealth. Josh Flagg began his career in real estate at the young age of 18, when he started making residential sales in high-end neighborhoods like Beverly Hills and the Sunset Strip. At that point, he was still in high school, working under and learning from real estate agent Bruce Nelson and his firm in Bel Air. After that, he had a short stint at Coldwell Banker Beverly Hills East office in 2007. Flagg set many records in real estate sales throughout his career. For instance, he had the highest sale in the history of Brentwood Park and a $25.0 million residential sale in Beverly Hills. According to Forbes, the real estate agent sold more than $1.0 billion worth of property during his career. And his hunger to do more business is only increasing. Where Does Josh Flagg Live? 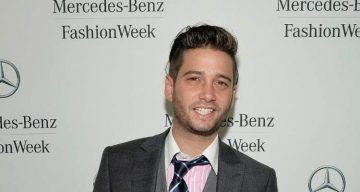 According to reports, Josh Flagg lives in Los Angeles, California, in an estate he bought from Tony Award-winning producer Michael Filerman. Flagg’s estate is located a little distance away from the house of former Beatles star Paul McCartney. His other famous neighbors with property on the same street include Don Johnson and Ozzy Osbourne. Just a little impromptu Christmas dinner party at home ? Flagg is also the owner of a penthouse in the Century Towers complex in Century City, Los Angeles. The penthouse belonged to his late grandmother. In 2015, Flagg made $1.0 million profit when he sold his home in Beverly Hills for $6.0 million to MySpace co-founder, Chris DeWolfe. He bought it a few months before for $5.0 million. While Flagg will continue to make money in the real estate business, his personal life is his true treasure. Lucky to have this one. ??? As they say, the person who finds love finds treasure!